Today we’re excited to announce that we’ve acquired German digital wealth manager, vaamo. Marking our entrance into our third market, we will combine our award-winning investment services with vaamo’s foothold in the German market to provide more personalised and innovative investment advice solutions across Europe. vaamo launched in 2014 as Germany’s first independent digital wealth manager. 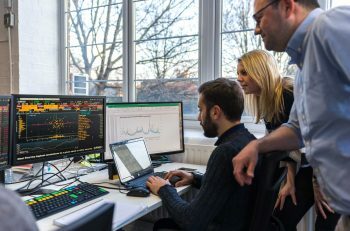 Founded by Thomas Bloch and Oliver Vins, vaamo offers regulated fully-managed discretionary portfolios, much like Moneyfarm. Over the last four years, vaamo has built both a successful direct to consumer and B2B offering. Partnerships include leading digital bank N26, and 1822direkt, the online business of one of Germany’s largest savings banks. For Moneyfarm, the acquisition allows us to leverage vaamo’s strong foothold in the German market to accelerate our entrance into Germany, which is already home to the world’s top savers – the average household saving 9% of their income. The acquisition also presents the opportunity to expand the Moneyfarm business proposition across Europe for companies and financial institutions looking to offer digital investment advice on fully-managed portfolios to their employees or customers. This acquisition puts both Moneyfarm and vaamo in a strong position to expand, pooling expertise in certain areas such as product development to help customers grow and protect their wealth. Both companies will continue to service their individual customer bases, and vaamo will retain its brand name, as they determine how the two companies can work together. Get the latest news and tips for managing your finances, straight to your inbox. 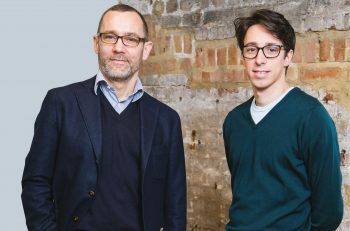 Thomas Bloch and fellow Co-Founder and Co-CEO Oliver Vins will join Moneyfarm’s Executive Committee to take on broader responsibilities with Moneyfarm and bring their expertise as founders to the table. Thomas will head the German business as well as Moneyfarm’s B2B activities across Europe. Oliver Vins will become Head of Product at Moneyfarm. The transaction is subject to regulatory approval by German supervisory authority BaFin. If you have any questions about Moneyfarm’s acquisition, please get in touch with one of our Investment Consultants here.